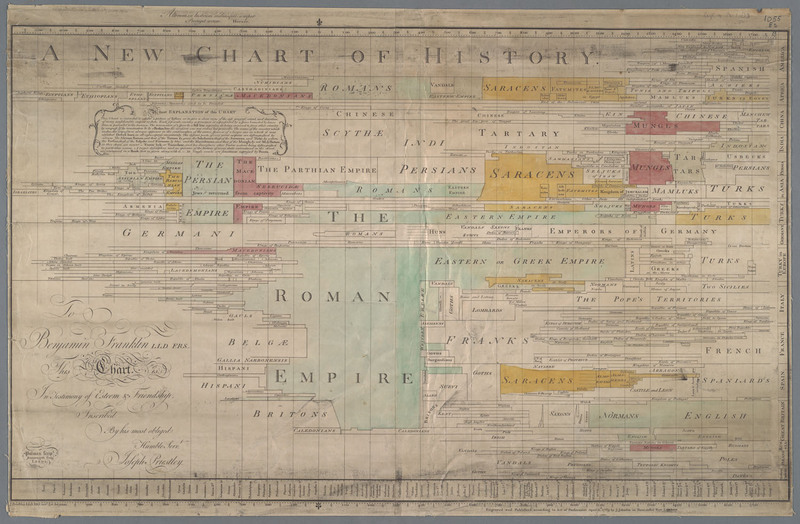 Introduction to 'A New Chart of History' made by Lunar Man Joseph Priestly in 1765 and 1769, who developed the first linear timeline of history as we now commonly know. 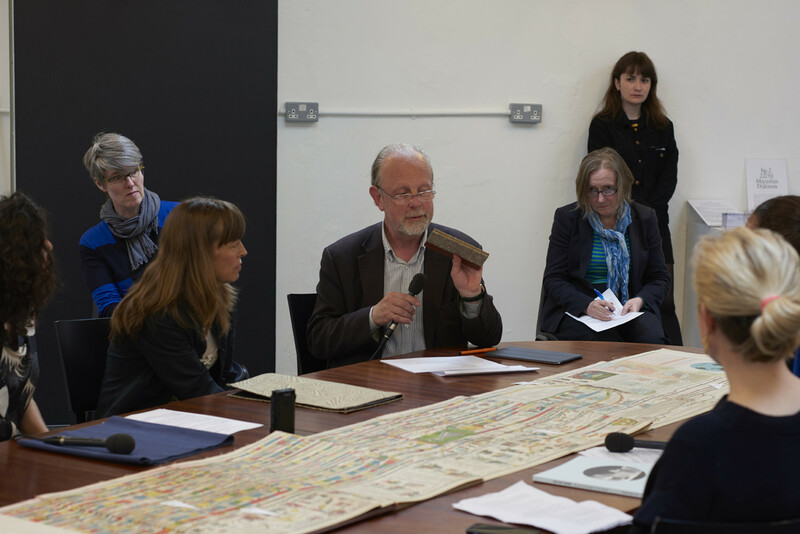 At the LUNÄ Talks in London in fig-2, Stephen introduced some of the interpretations by Joseph Priestley in relation to the session 'Time and Progress'. Author: Stephen Boyd Davis is Professor of Design Research at the Royal College of Art, UK. He specializes in visual and spatial representation. Context: These LUNÄ talks are developed by Marjolijn Dijkman in collaboration with Fig. 2. LUNÄ is a work by Marjolijn Dijkman based on the Lunar Society of Birmingham. The Lunar Society of Birmingham was formed from a group of amateur experimenters, tradesmen and artisans who met and made friends in the Midlands in the 1760s. Members included the flamboyant entrepreneur Matthew Boulton, the brilliantly perceptive engineer James Watt whose inventions harnessed the power of steam, the radical polymath Joseph Priestley who, among his wide-ranging achievements discovered oxygen, and the innovative potter and social reformer Josiah Wedgwood. Their debates brought together philosophy, arts, science and commerce, and as well as debating and discovering, the ‘Lunarticks’ also built canals and factories, launched balloons, named plants, gases and minerals, managed world-class businesses — and changed the face of England. Three centuries later, Dijkman revisits this moment of historical significance. She produces the replica of the table where Lunar Men met, in order to provide a platform to develop and expand on the knowledge production of our times. At fig-2, she will specifically focus on the notion of the future investigating modes in which the idea of future is seeded in our society today. 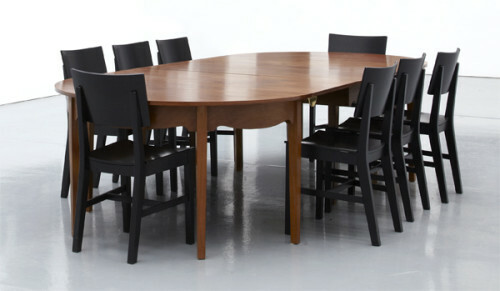 fig-2 is a revival of the project fig-1, which was conceived and developed by Mark Francis and Jay Jopling in 2000. Experimental in its nature, each project was programmed only a few weeks in advance to maintain as much spontaneity as possible. fig-1 presented projects by Jeremy Deller, Richard Hamilton, Runa Islam, Oliver Payne + Nick Relph, Will Self, Patti Smith, Caruso St. John, Philip Treacy, among others. Fifteen years later, ﬁg-2 brings together a programme that is driven by the radical imagination of artists, writers, dancers, architects, and designers curated by Fatos Ustek. A version of this article first appeared in the newsletter of the Joseph Priestley House, Northumberland, Pennsylvania in 2011. It is reproduced here by kind permission. Priestley may be familiar to readers of this newsletter as educator, chemist, and electrician, and as a religious and political radical, but there is yet another side to this multi-faceted figure. He was a pioneering information designer who helped invent modern visualization. While pictures represent something we can already see, visualization takes something which we cannot see – such as Time – and makes a diagram of it. Seeing charts and timelines every day, we take visualization for granted, but these things had to be invented, and Priestley realized how charts could help us to understand and remember complex information: our brains respond to information in this form in a quite different way to when we read words. As so often, necessity was the mother of invention: teaching history at the Warrington Dissenting Academy, Priestley needed to make sense of the lives of historical figures. 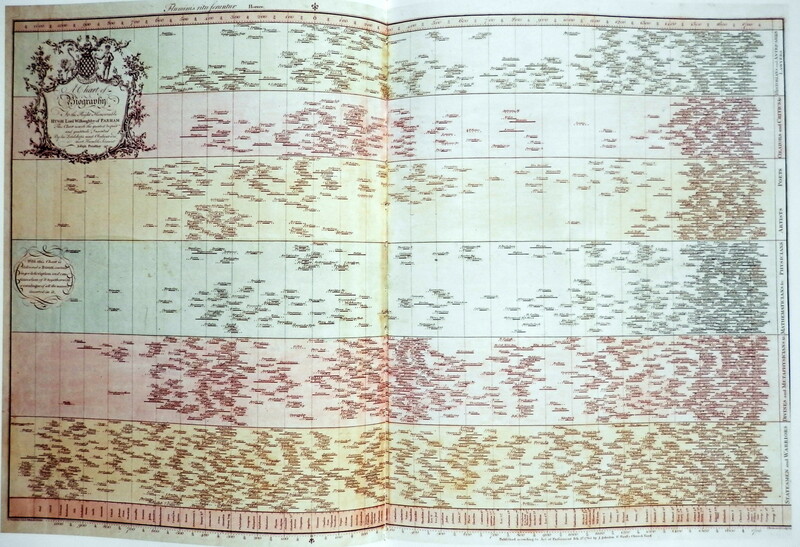 He started to draw diagrams of time, with the life of each individual marked in its appropriate place. In his Description of a Chart of Biography of 1764 he explains the advantages, with the example of trying to figure out the relationship between the lives of five historical figures. He tells his reader the dates of their deaths and how old they were when they died and then asks a number of questions about the relation between their lives. We soon realize how hard this is, until the Chart comes to our rescue. 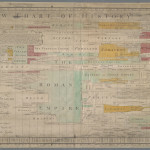 Priestley explains: ‘as soon as you have found the names, you see at one glance, without the help of Arithmetic, or even of words, and in the most clear and perfect manner possible, the relation of these lives to one another.’ This is the essence of visualization – to show relationships and patterns in information. Did Priestley invent the timeline? He did, but so did someone else a little earlier. The Frenchman Jacques Barbeu-Dubourg (1709-1779) seems to have been the first to lay out time as a true diagram. Everyone before him had used some sort of list or table, but instead he measured equal numbers of years using equal lengths of paper. 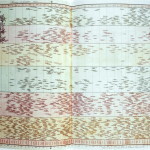 His chart of 1753 represents all time from the Creation to his own days. Like Priestley, Barbeu-Dubourg had strong links with the American states, sympathizing with the revolt against British rule. Both corresponded with Benjamin Franklin, and at one point Barbeu-Dubourg thanks Franklin for sending him a Priestley chart: ‘I have received with gratitude and viewed with pleasure the biographical chart of Mr. Priestley which is in truth made on almost the same principles as my own – without plagiarism on either side, as I in no way claim primacy on account of the date.’ Sadly, Barbeu-Dubourg lost all his money in his attempts to supply French arms to the American Revolution.